DUBAI - Emirates extended its online check-in from 24 to 48 hours before departure in a move to encourage more passengers to use this option. 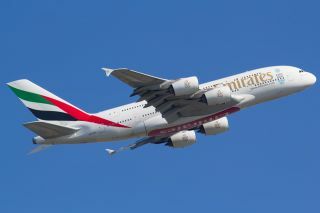 The extended check-in window, effective immediately, is 48 hours to 90 minutes before departure, Emirates said. The carrier expects to speed up ground processes, if more passengers arrive at the airport with a boarding pass. To write a comment, please sign up at paxex.com or have to be logged in.. Discussions about current news, developments and events of passenger experience industry. New Account Forgot your password?